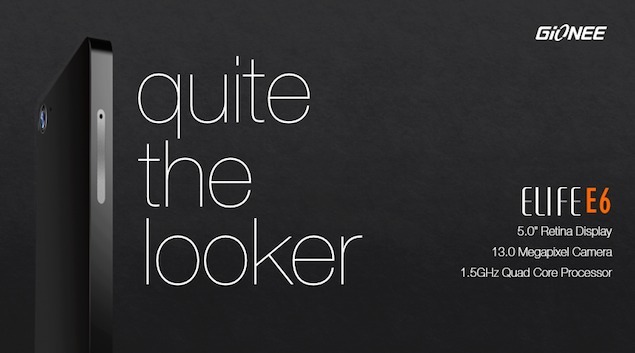 Gionee India shared an image of the upcoming smartphone on its Facebook page that describes the Elife E6 as "quite the looker", even if the company says so itself. It also shared some specs of Elife E6 that indicate the smartphone will be powered by a 1.5GHz quad-core processor and will sport a 5.0-inch 'Retina' display. however we dug deeper and found these images of the device. Gionee's ELIFE E6, boasts a 5-inch 1080p display, 1.5GHz quad-core processor (MediaTek MT6589T) with 2GB RAM and 13-megapixel BSI camera with flash. 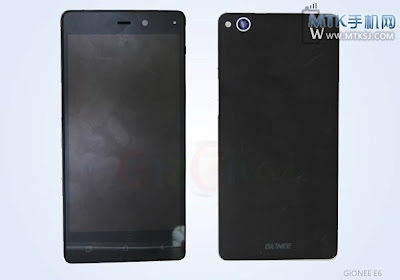 In addition to these main specs, the Chinese handset allegedly packs a 5MP front-facing shooter and 2000mAh+ battery, runs Android 4.2.1 (Jellybean) and features a svelte 8mm profile. Gionee is officially expected to launch the ELIFE E6 in Beijing on July 10th for somewhere between $320 and $360(INR 18000).This device could be strong contender against the canvas 4 from micromax. What do you think about the phone?